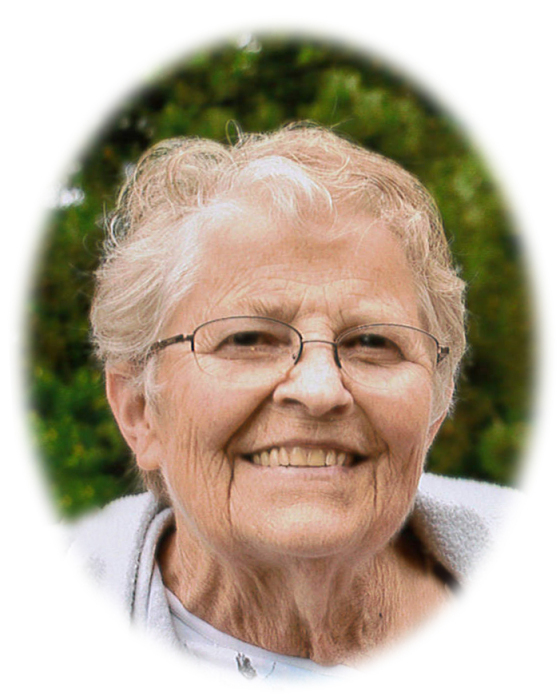 Sharon M. Lauer, age 76, of South Haven, died Tuesday, July 10, 2018 at the Mother of Mercy Care Center in Albany, Minnesota. Memorial Mass of Christian Burial will be held 11:00 a.m. Thursday, July 19, 2018 at St. Mary Help of Christians Church, St. Augusta with Fr. Jose Edayadiyil as Celebrant. Visitation will begin at 9:30 a.m. on Thursday at the church. Memorials are preferred to the Kidney Foundation or Gift of Life Transplant House in Rochester, Minnesota. Sharon Mary Lauer was born February 11, 1942 in St. Cloud, Minnesota to Wilfred “Fritz” and Stella (Boos) Rosha. She grew up on the family farm near St. Augusta, where she also attended the Catholic School. Sharon then attended St. Cloud Technical High School, graduating with the Class of 1960. On June 14, 1960, Sharon was united in marriage to Richard V. Lauer at St. Mary Help of Christians Church. They built their home south of St. Cloud where they lived until Richard entered the United States Army. Upon his discharge, they returned to Minnesota. In 1968, they purchased a farm and made it their home. In addition to raising her two sons, Sharon also worked as a Teacher’s Aide for the Kimball Schools for a number of years. She eventually went to work for the Veteran’s Administration in St. Cloud. With her love of children and giving nature, Sharon volunteered her time as a foster grandparent for St. Mary Help of Christians School, Stride Academy and St. Katharine Drexel School. In her spare time, Sharon enjoyed attending garage sales and going to the Wright County Swappers Meet. She tended to her flower and vegetable gardens with care, as well as her apple trees. Sharon was also an avid walker, usually out for a stroll first thing in the morning. Above all, Sharon cherished the time she was able to spend with her family, especially her grandchildren. Sharon’s caring and selfless personality will be missed by all those that love and care for her. Sharon is survived by her husband of 58 years, Richard “Shorty” of South Haven; children, Joel (Susan) of Clearwater and Todd (Jen) of Iron, MN; grandchildren, Sarah, Rachel, Hannah, Emma, Abigail, and Benjamin; mother, Stella Rosha of St. Augusta; siblings, Joan (Richard) Jendro of St. Augusta, Jim (Marcia) Rosha of Clearwater, Delrose (Roy) Hinkemeyer of Clearwater, Dan (Barb) Rosha of St. Augusta, Laurie (Gary) Schulzetenberg of Plymouth, and Kay (Kevin) Jarnot of Rice; and many nieces, nephews, other family members and friends. She was preceded in death by her father, Wilfred “Fritz” Rosha. Arrangements entrusted to Dingmann Funeral Care Burial & Cremation Services of Kimball. Sharon’s family would like to extend a special “Thank You” for all the love and care she received from the staff of Mother of Mercy. Your warmth and kindness are greatly appreciated. Thank you also for the care she received at Mayo Clinic, St. Cloud Hospital and CentraCare.